In this work we study and implement techniques for the automatic segmentation of cardiac Magnetic Resonance Images. The methods are based on the active contours algorithm called Snakes, which are adapted and tailored to the specific task of automatic segmentation of the left ventricle of the heart in Magnetic Resonance Images. We propose a new external force to improve the convergence of the Snakes method. 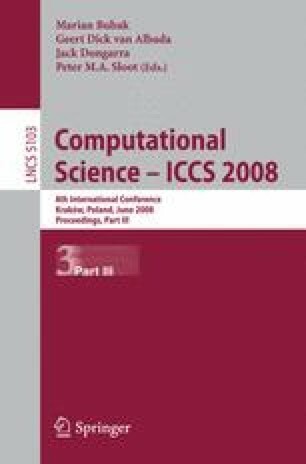 In addition, a genetic algorithm is used to find the best set of configuration parameters for the Snakes method. The algorithms are implemented in Java and threads are used to explore data parallelism on shared-memory machines. Tests are performed on 150 short-axis images acquired from two healthy volunteers. Preliminary results suggest the proposed methods are promising and with further development and validation may be used, for instance, for the automatic calculation of cardiac ejection fraction.